Four out of five consumers in the U.S. use search engines to locate businesses as they search before buying a product or service. 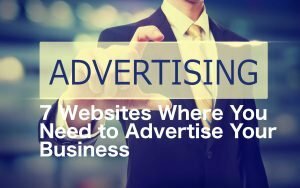 If you are a small business and you need to advertise your business on the internet, how do you find websites that will offer you the most bang for your buck? Some websites will deliver more eyeballs, and ultimately customers, than others. To get the most out of your company advertising budget, read on. Customers who use search engines, are looking for information to make their purchase and where you advertise your business matters. Search engine optimization marketing doesn’t show any signs of slowing down. It is projected to grow to $72 billion in 2018. More than half of all searches are conducted on mobile devices and those searches are also much more likely to convert into a purchase. Online ads are efficient and 100% measurable down to every click. Compared to offline options, Internet Advertising can provide clear tracking. This keeps you on budget and shows your return on investment (ROI) with precise metrics. There are 4 main types of online advertisements: display, search, mobile and social. Display – Can appear on both publisher or social networks. 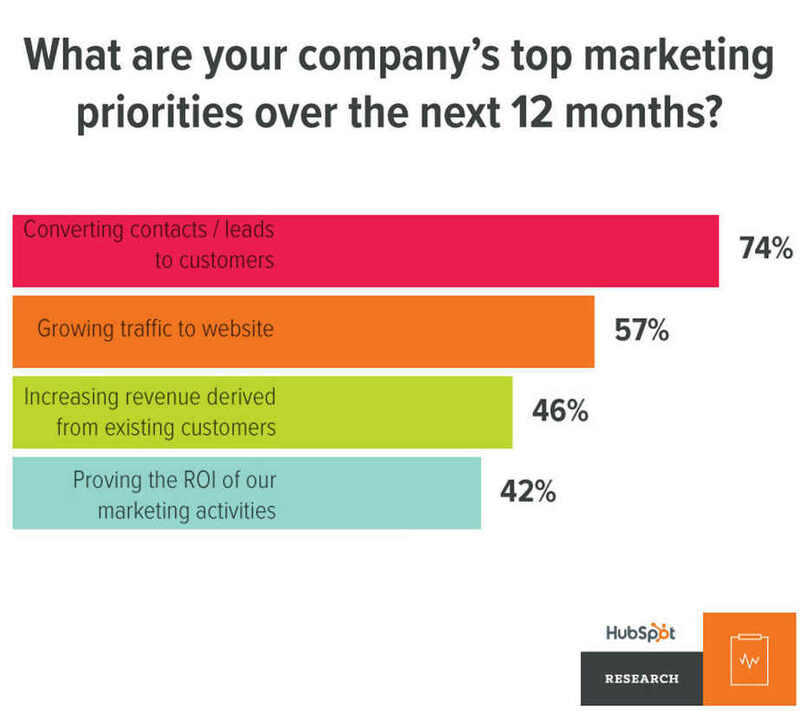 The main purpose is to increase brand awareness or increase purchase intent with consumers. Search – Involves increasing the visibility of a website in search engine result pages. Mobile – A form of advertising that takes place on smartphones, or mobile devices. Social – Uses social media platforms to promote products or services. Google and Facebook are the dominant players here, taking in 80% of the advertising spend across the internet spectrum above. For search, you can custom tailor the ads to be relevant for city, zip code or even the immediate vicinity. Ads that are location specific increase the likelihood of a sale. For both customers planning to make a purchase and those who end up making an unplanned one – Local is the Answer. When you advertise your business online give your reader an easy link or button to click in your ad. Take them where they can either call your business or get directions. This is even more important for mobile. Let’s look a little deeper at search advertising. Below are some reasons why this option is particularly effective. When you advertise your business via search ads, you get to select keywords relevant to what you are selling. Also with search, it is possible to only pay once a customer actually clicks on your ad. This is known as cost-per-click or CPC advertising. And the traffic a search engine gets is impressive. 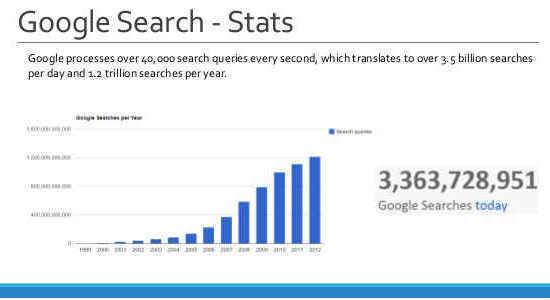 Google, for example, gets over 40,000 search queries. Per second. All of this might seem like a lot. When picking what digital channels to advertise on. Then, having to optimize them can all seem rather technical. Digital marketing agencies can custom tailor a media plan to your business. For example, depending on your budget . . . it makes sense to run ads on both search and social media. These internet marketing agencies are also good at operating as an extension of your team. This give you the option to free up your employees. That way they can focus on closing sales and product development. The agency can handle your marketing and internet advertising. 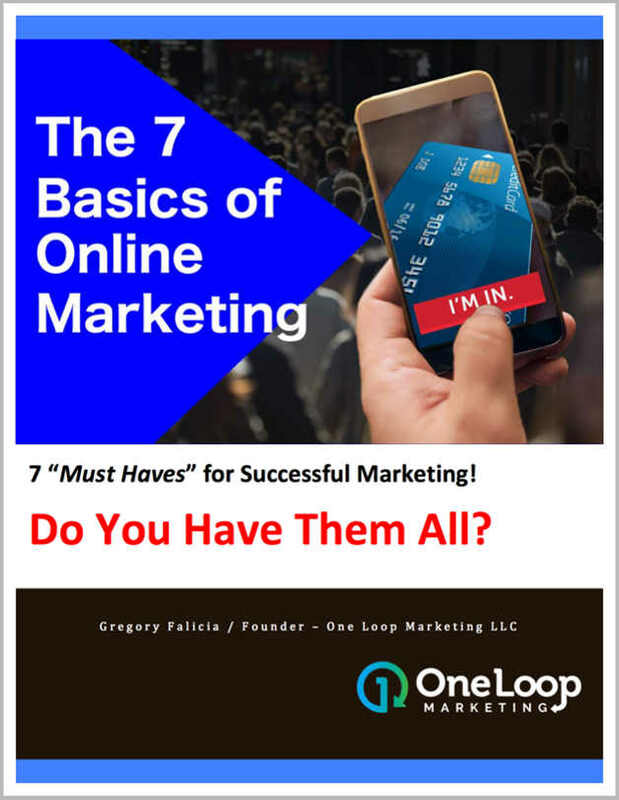 Check out OneLoopMarketing.com as a great example of an agency that can help you run strategies across all digital channels and media. Video ads appear to be a big deal in digital marketing for 2018. A video ad is eye-catching and works great on sites like YouTube, Twitter, Facebook, Instagram, and Snapchat. Even your own website! Marketers also love the variety of formats for video that they can choose from. Finding the right format and style for your small business. Key statistic: 65% of marketers plan on increasing their media budget on video in 2018. Below we’ve picked 7 sites for you to advertise your business on. Priority was given to sites that provide the most exposure and traffic. These sites are not exclusive or restricted. The sites we’ve listed below are intended for small business. They typically don’t require a huge advertising budget. Google is such a massive channel for digital advertising it is hard to overlook. The specific Google ads product we are referring to is called AdWords. AdWords lets you create text, image or video ads based on keywords people are searching for. 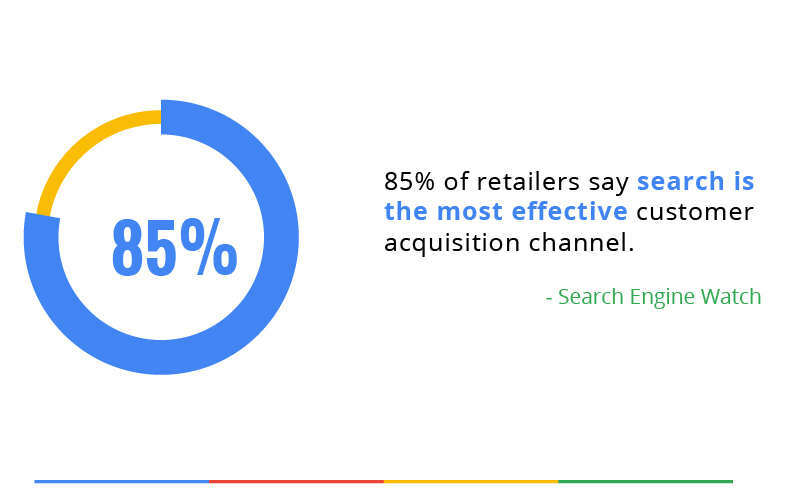 The most popular channel for AdWords is search. These are ads, that show above the “organic” results when you type a word or phrase into the search engine. Yelp is a huge online resource for consumers that allows them to leave candid consumer reviews. When you advertise your business on Yelp, you get to send public or private messages to customers. These messages can even include your latest deal/coupon. The demographics of Yelp are desirable for most advertisers. 42 percent of Yelp users are 18 to 34 and 46 percent earn $100,000 or more annually. Bing is a search engine by Microsoft. The general process of advertising on Bing is very similar to Google. Since it does have a smaller audience than Google the rates are also less expensive. This can help you stretch your media budget. Bing typically offers free advertising credits to businesses new to their platform so it is worth checking out. Yep, is the Yellow Pages “as in: the phone book” from decades past. It’s more modern version. It offers advertising and lead generation with enhanced dashboards to provide you with data. Where Yellow Pages excels is at hyper-local searches. Such as a consumer wanting to find an ice cream shop in their own local neighborhood. Facebook has a TON of viewers which is great for helping to create awareness for your brand. 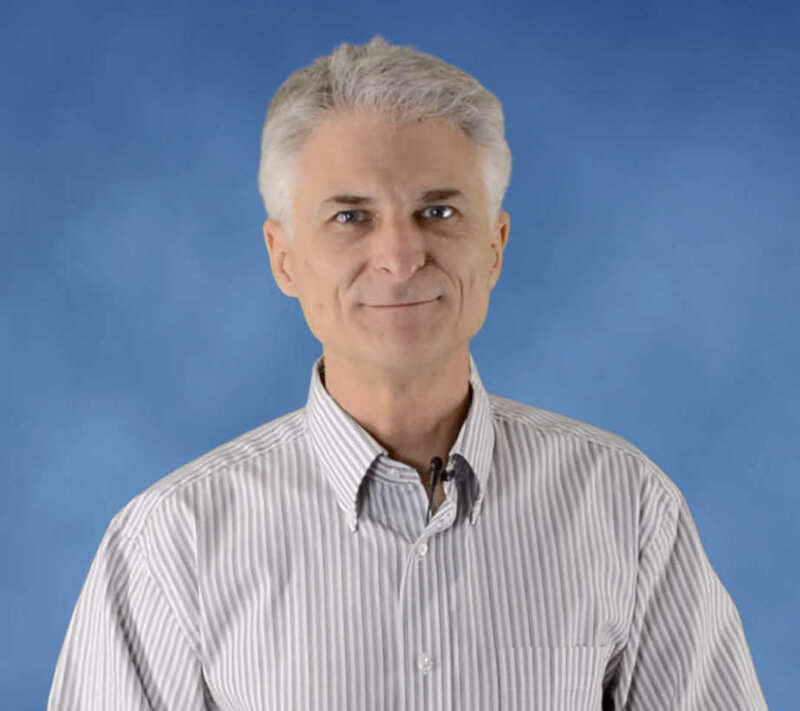 Different from AdWords, it operates on a pay-per-impression basis. The more times your Ad is shown the more you spend. But YOU control the daily budget! You can start with as little as $5 per day if you want. The cool thing about Facebook is you can target your ads by both demographics and user interests. The Twitter Cards feature allows you to attach photos, videos to tweets to drive traffic to your website. Users can even buy your product from within the ad without having to leave Twitter. The Pinterest advertising tool is called Promoted Pins. Pins allow you to target consumers based on their previous engagement which can make your ads very relevant. It’s an exciting time to get into digital advertising. The sites listed above should be a good start towards helping you meet your marketing goals. For assistance on all things digital and to advertise your business, click over to OneLoopMarketing.com for more info. 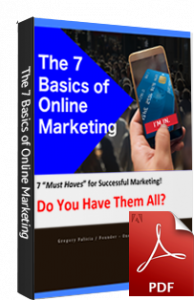 The 7 “Must Haves” to Succeed with Online Marketing! Just Click the LEARN MORE button below.